We've done all the cleaning and have all the rooms ready. Now they just need to be filled with people! 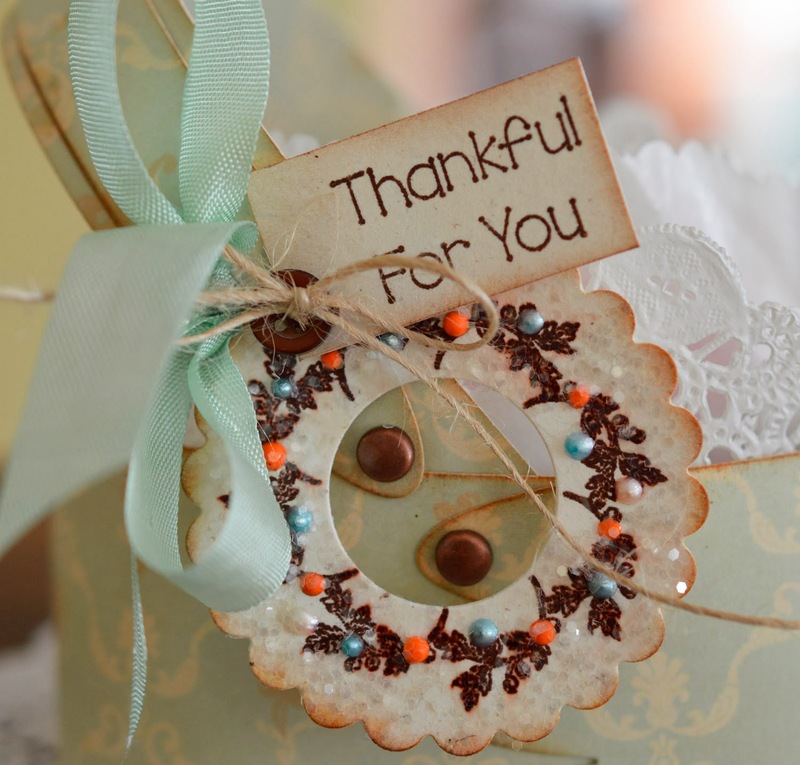 I am so blessed with my wonderful family - so thrilled that we'll all be together. 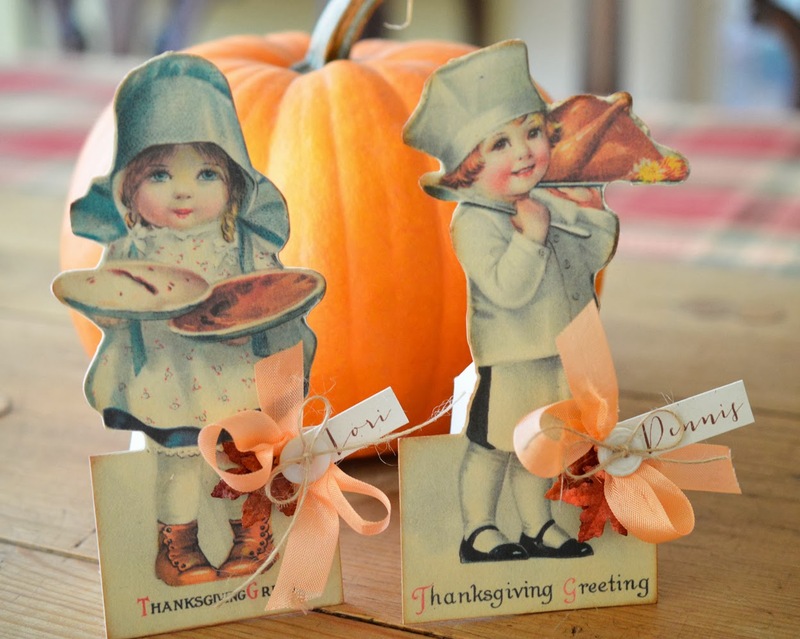 Dennis and I pour all our love into cooking and creating a wonderful Thanksgiving for all of us to enjoy. 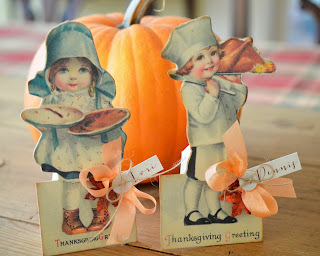 These cuties are my place cards for this year. I have the originals of both of these and I am so glad I found them! You may be like Dennis and are wondering what a porcupine has to do with a s'more. It's just one of those things, I told him. 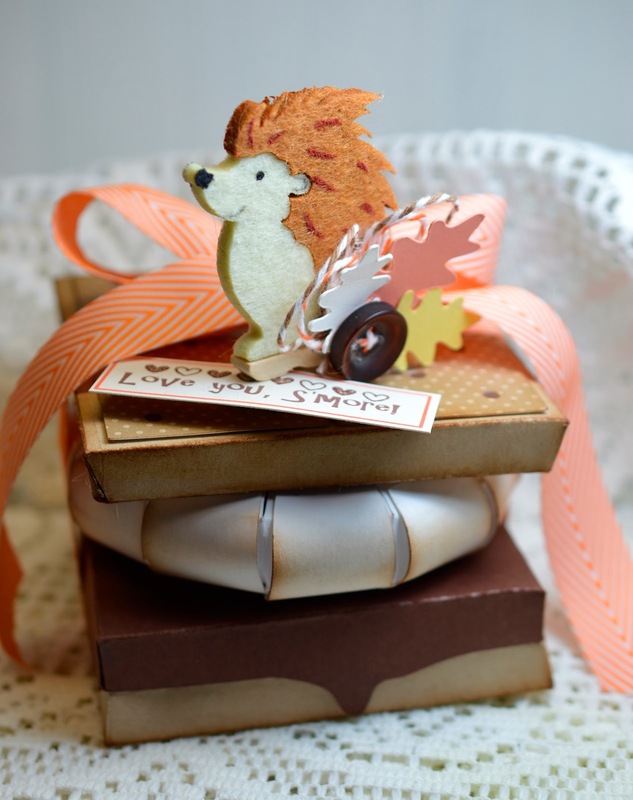 I have a cute box and I have a cute porcupine and besides something has to hold the sign! 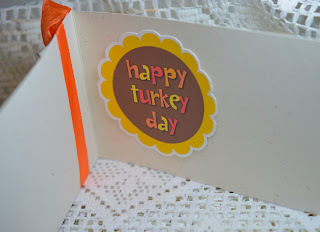 Have a wonderful Thanksgiving and come right back here on Monday! 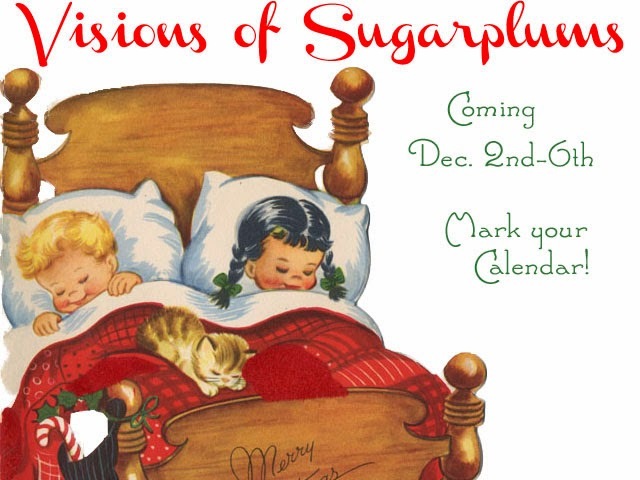 Monday is the first day of Visions of Sugarplums! Oh, boy do we have some fabulous Christmas ideas and the giveaways are spectacular! See you then! 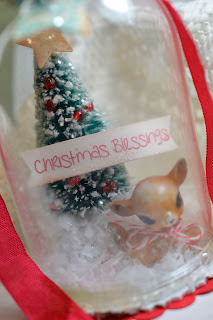 I just love finding cute images! Stumbled across this little turkey when I was looking for something else. 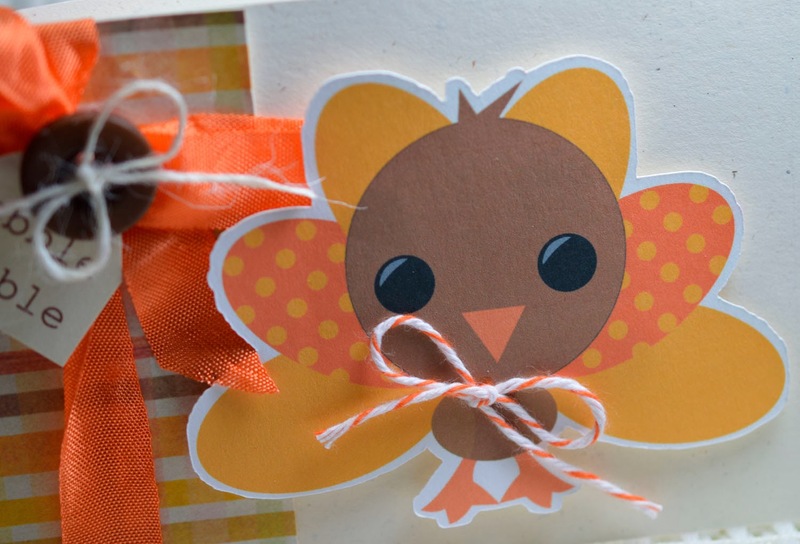 Isn't is perfect for a kid's thanksgiving card? I think it would be darling as a place card on a kids' Thanksgiving table, too. 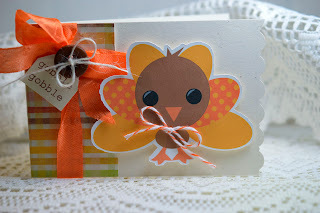 The cute turkey and the circle sentiment are from Spring Hill Graphics. Oh, does she have some VERY CUTE things! Spring Hill Graphics will be joining us for Visions of Sugarplums - you might win a cute set from the store for yourself! I'll be showcasing another cute image of hers during VOSP. If you would like to get an early entry for the grand prize giveaway check out the Visions of Sugarplums post here. 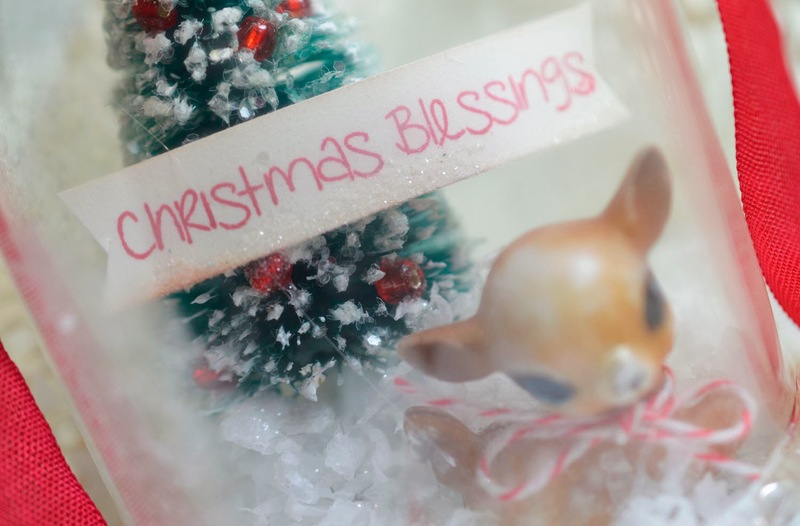 It all starts on Monday, December 2nd - don't miss it! Thanksgiving brings out the tradition in us. 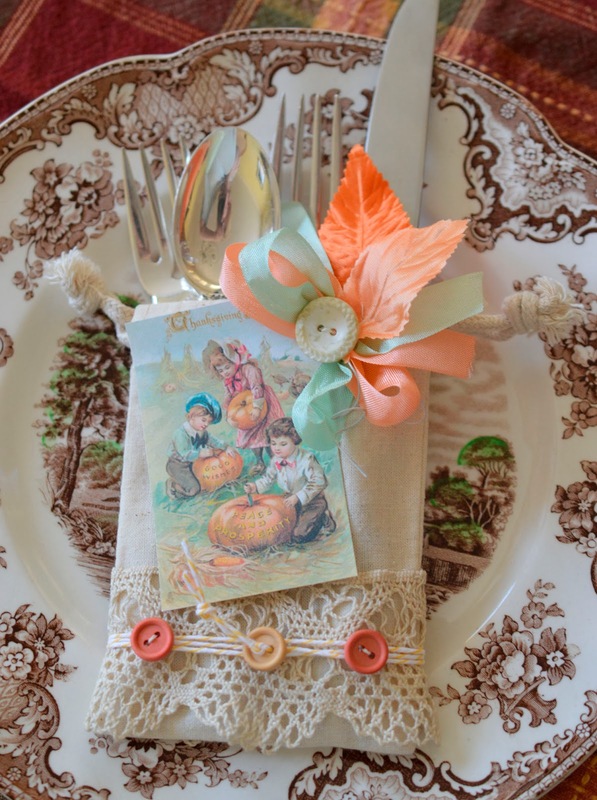 Vintage plates, linens that aren't quite vintage (but have been around for some time), dishes that we serve every year. You would think it would be boring, but I look forward to it every year! 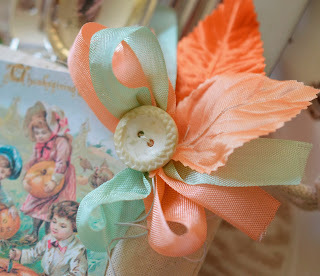 I do change the placecard holders (I'll be showing those later) and maybe the decorations on the table. 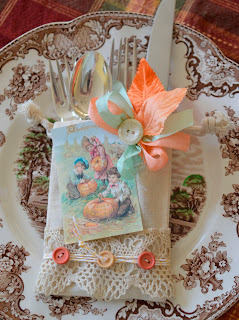 Here is another idea - how about a Thanksgiving Silverware Bag? 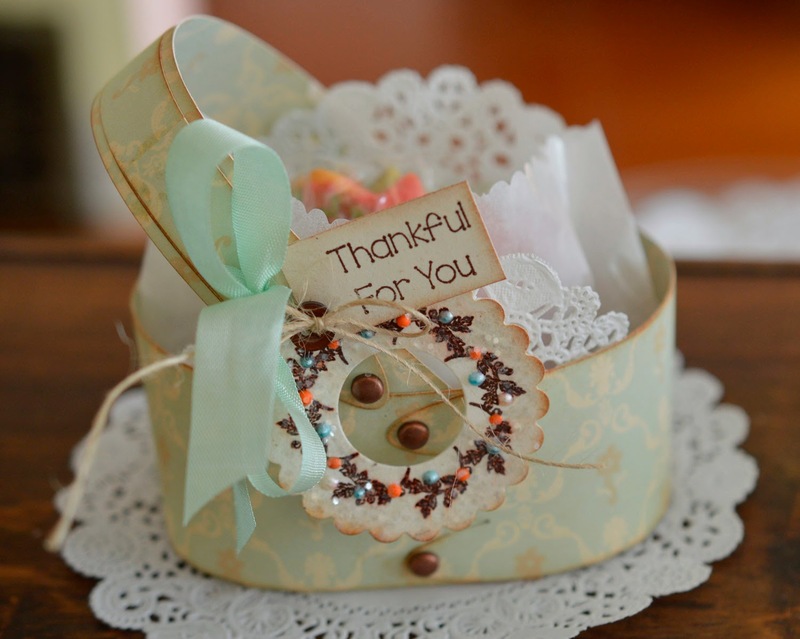 Nicecrane Designs has some gorgeous images to help you create for Thanksgiving. The kids carving pumpkins is one of my favorites. 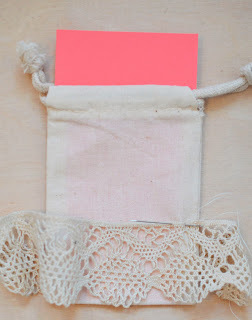 You'll notice that the lace is added to the bottom of the muslin bag. 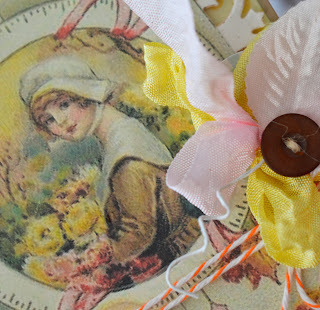 I have a little tip to make it easier to sew. It's so hard to get to the (almost) bottom of the bag with a needle. 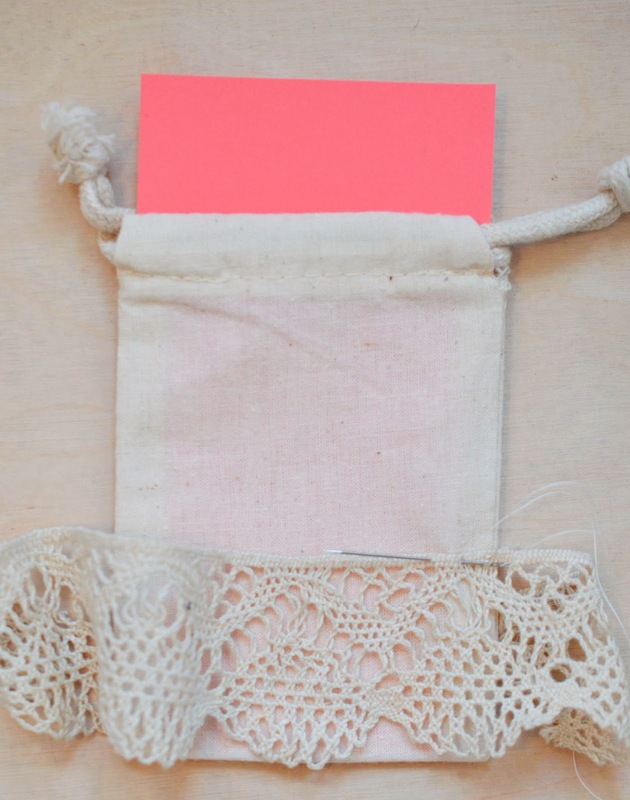 Just stick a piece of cardstock in the bag! 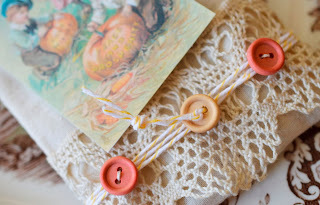 That way when you are sewing on the lace and buttons you won't pick up the back of the bag. Aren't the leaves pretty? They arrived the other day from Speckled Egg. 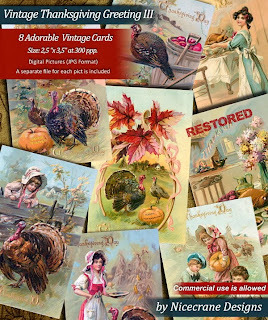 Here's a look at the Vintage Thanksgiving Greeting Vol 3 from Nicecrane Designs. I used a couple of the Christmas Ball images on my snowflakes which you can see here. Visions of Sugarplums will arrive on December 2nd. 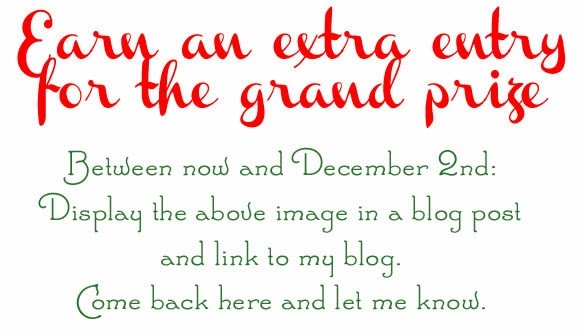 Check out this post to see how to get an early entry for the grand prize. 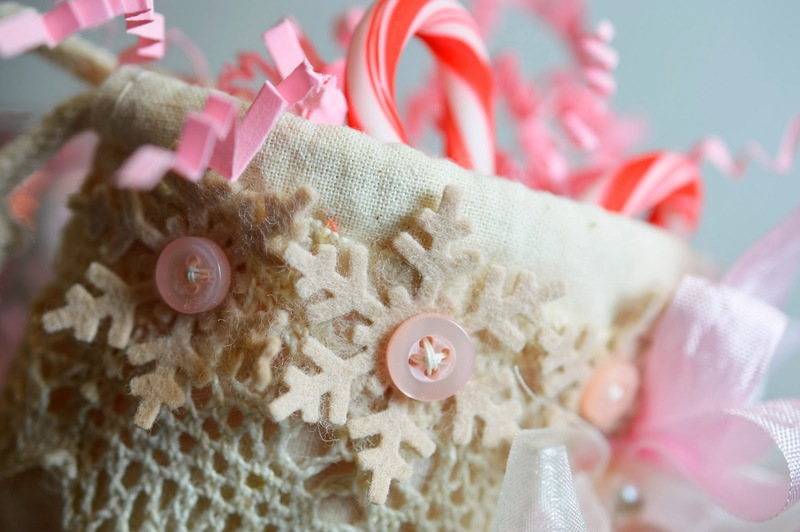 Nicecrane Designs is one of the sponsors of Visions of Sugarplums - thank you, Ignacio! It's almost time! 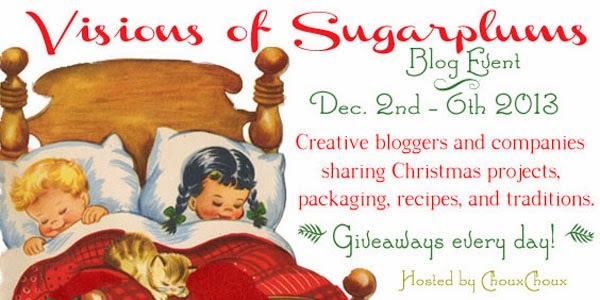 Time for the third annual Visions of Sugarplums! 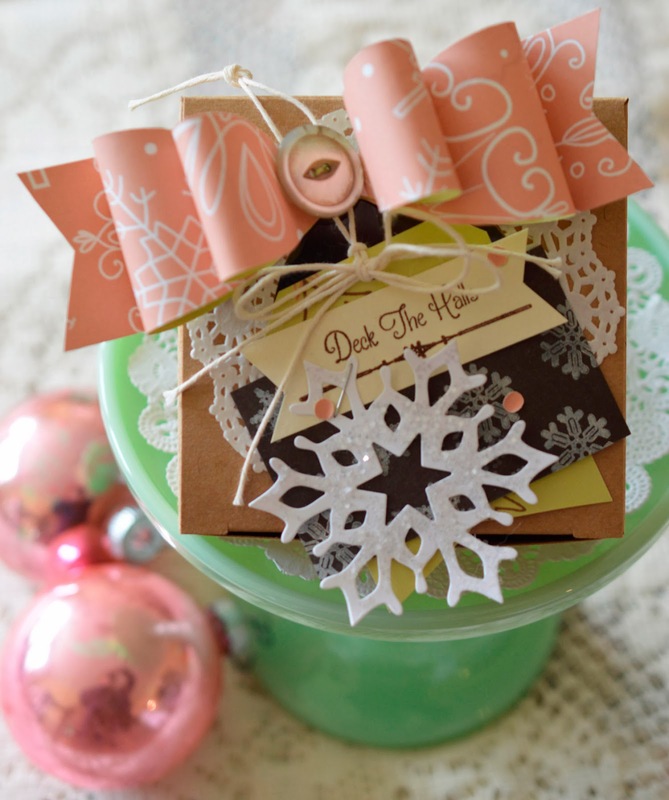 We've got visions of Christmas goodies dancing in our heads and we want to share them with you. 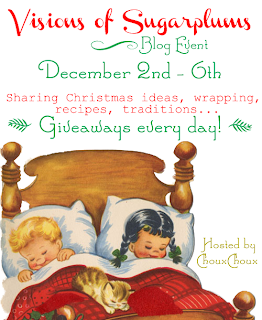 Santa will be coming early - we have even more giveaways this year! 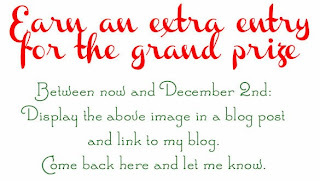 Just like previous years - every comment is an entry to win! Mark your calendar - Pass the word and invite your friends! The more the merrier! Welcome to the last day of the November Roll Out for Paper Sweeties! 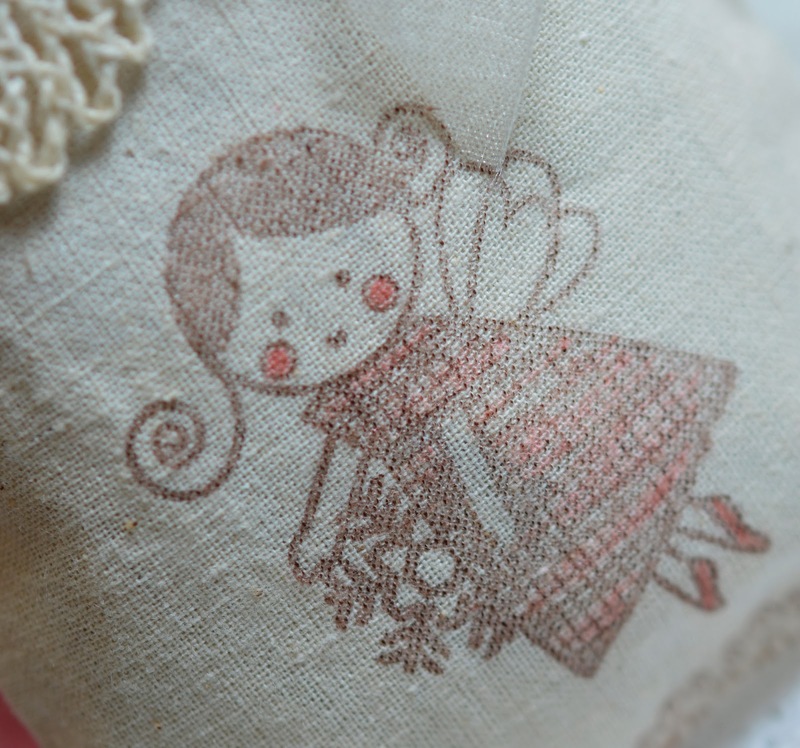 Included in the new stamps and dies is this sweet angel. 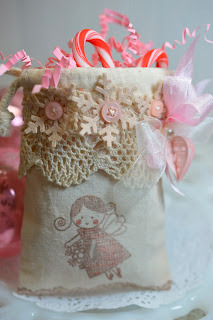 I stamped her right on the bag and added a little bit of pink color. She is part of the Make the Season Bright set. 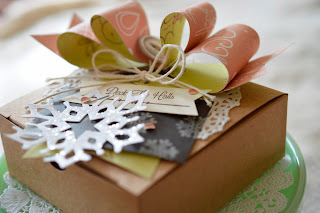 Right now you can save if you bundle the stamps and dies! 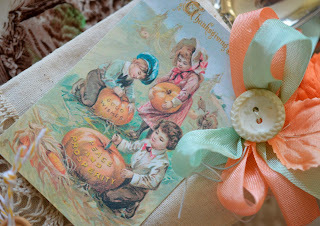 This bag was a lot of fun to make. 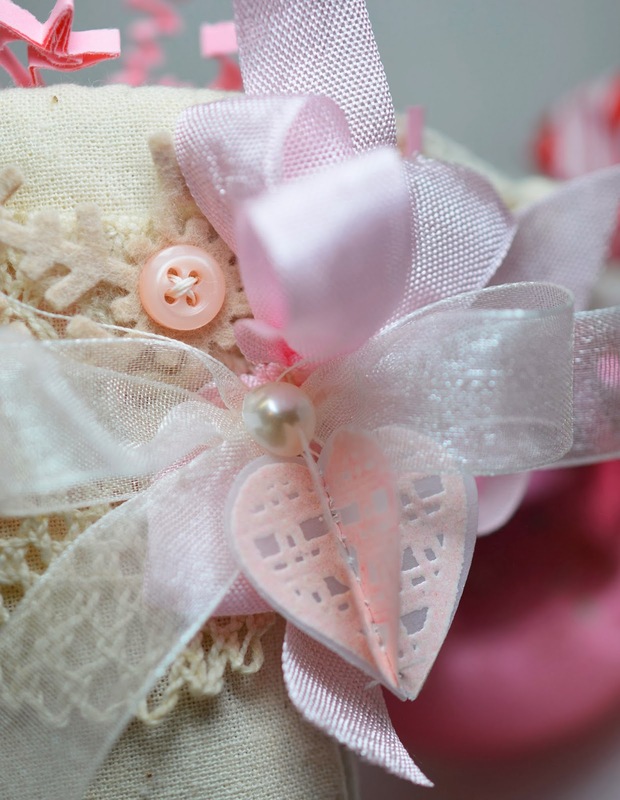 I love the lace and the snowflakes and how about this cool 3-D heart ornament made with the heart from Homespun Holidays? It is so easy to make. 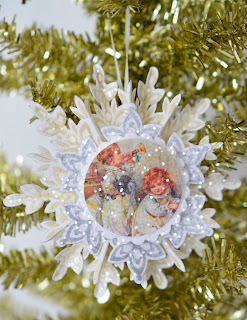 It's made just like the leaf ornaments I posted a tutorial on the other day. 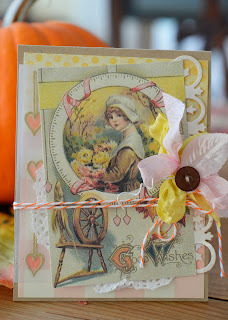 The only difference is that I stamped the heart on vellum with Versamark and heat embossed the image. I really like it! 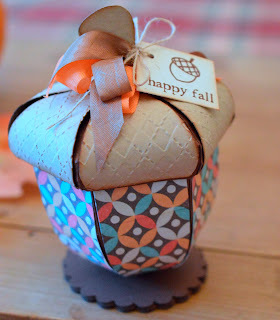 The Paper Sweeties Blog is showing more projects - check it out! Gingerbread Men...Did you just smile? 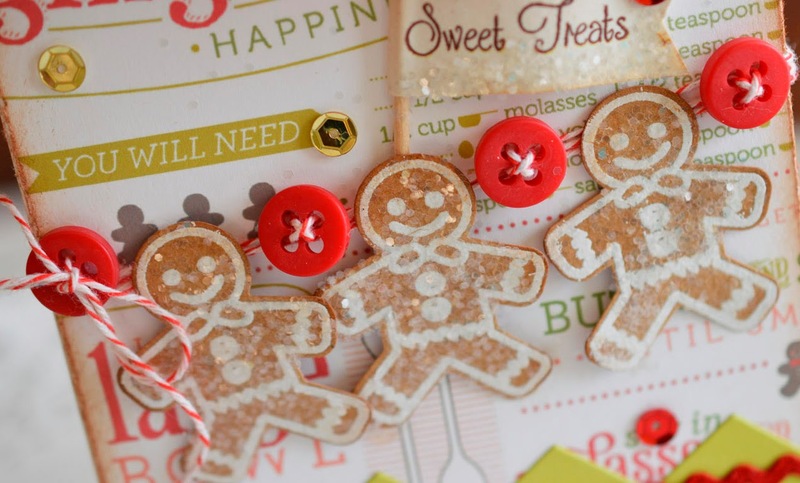 Gingerbread Men are certainly the cuties of the Christmas season! 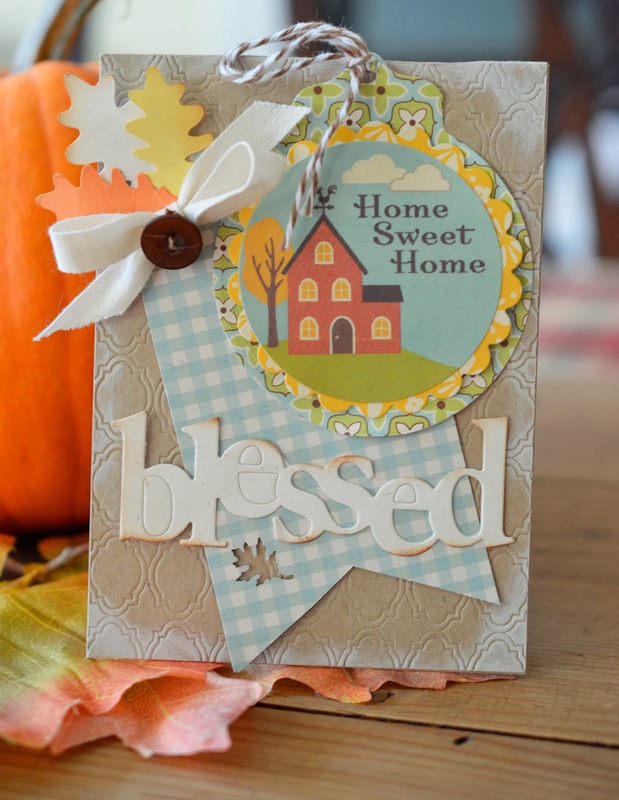 Welcome to Day 2 of the November stamp release at Paper Sweeties - and yes, it includes cutie gingerbread people! We make gingerbread men every year. I always look forward to it. 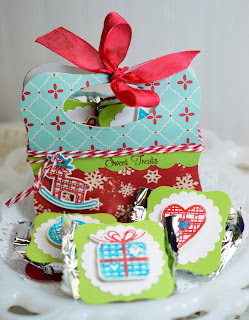 The kitchen smells so good and the cookies are yummy. But I always feel bad biting off their heads! 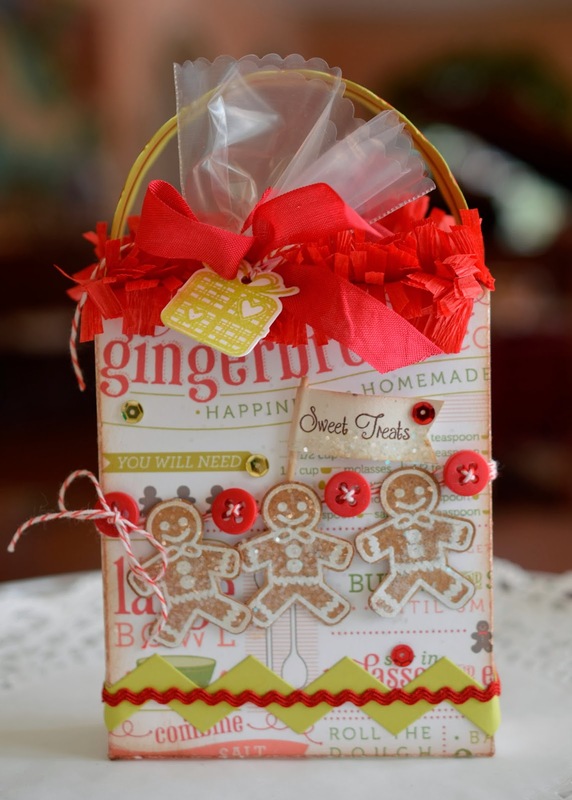 I think our gingerbread man cookies will be even better given in this box! The paper is a download from Stampin' Up called Homemade Happiness. It makes a perfect background for the gingerbread man stamp from the Paper Sweeties new HoHoHo set. 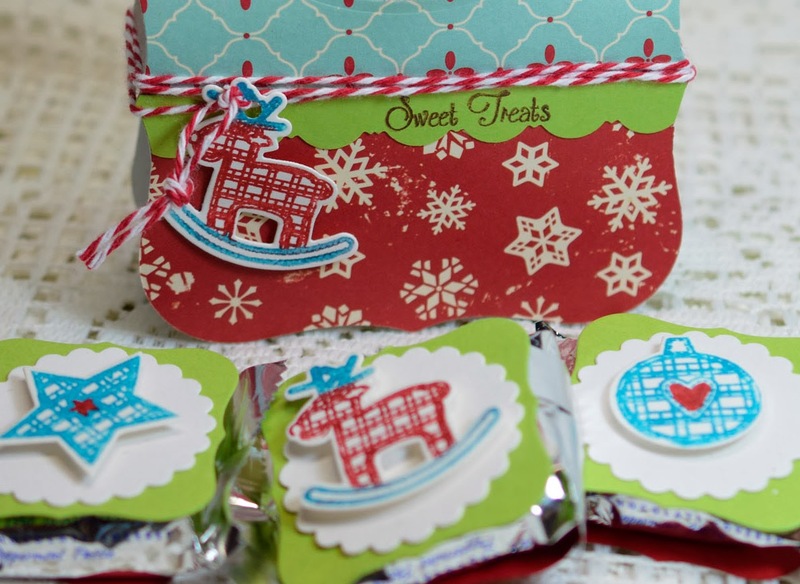 (Right now the HoHoHo stamps and dies are on sale as a bundle.) 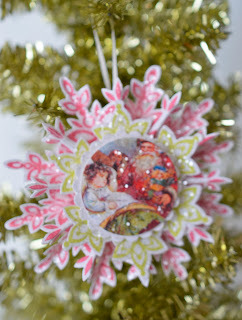 These little guys are heat embossed and sprinkled with glitter sugar. 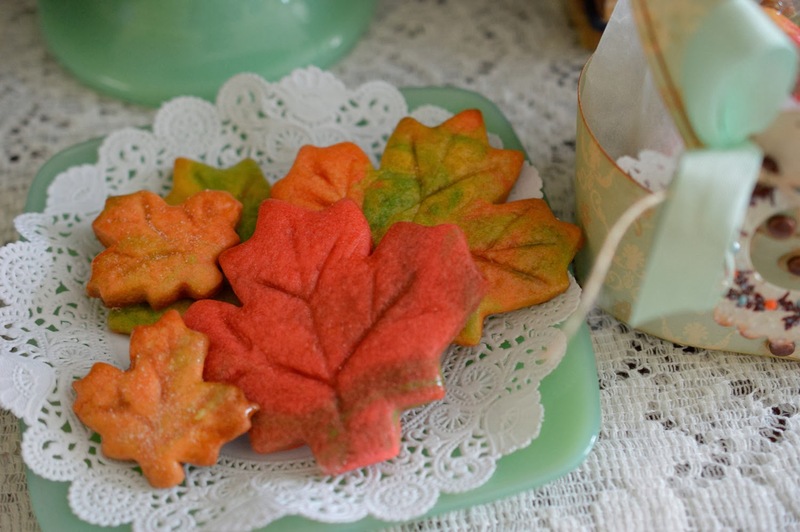 We love Maple Flavored Sugar Cookies! Never tried them? Well, you certainly should! Dennis and I made leaf shaped ones the other day and tried something new. Something I definitely recommend: paint on the maple syrup! 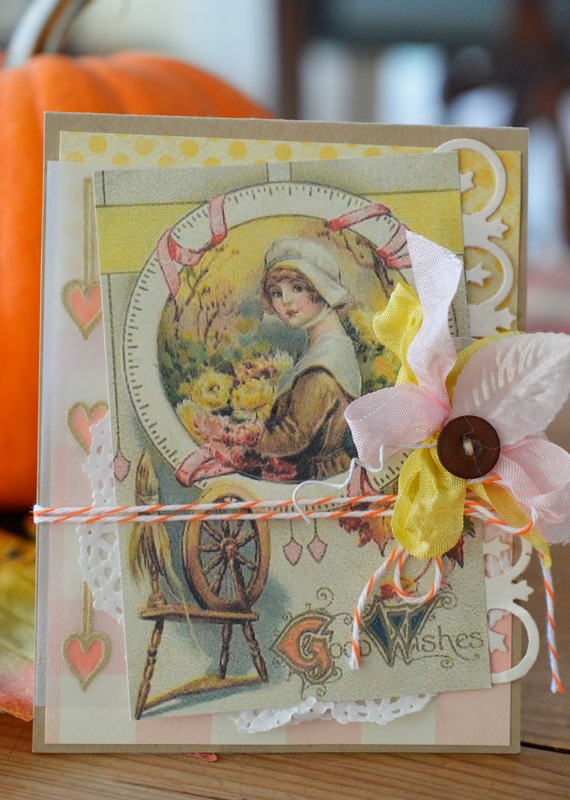 Welcome to the first day of Paper Sweeties November Release. 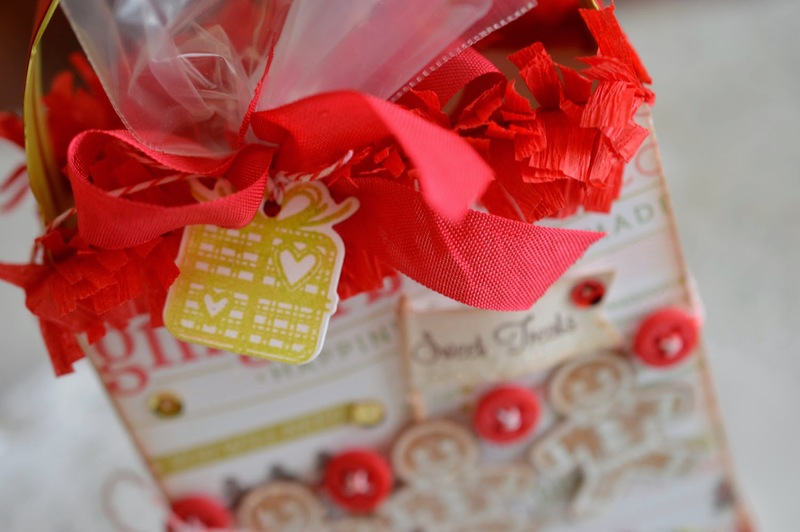 Those yummy maple cookies needed an extra special gift wrap. 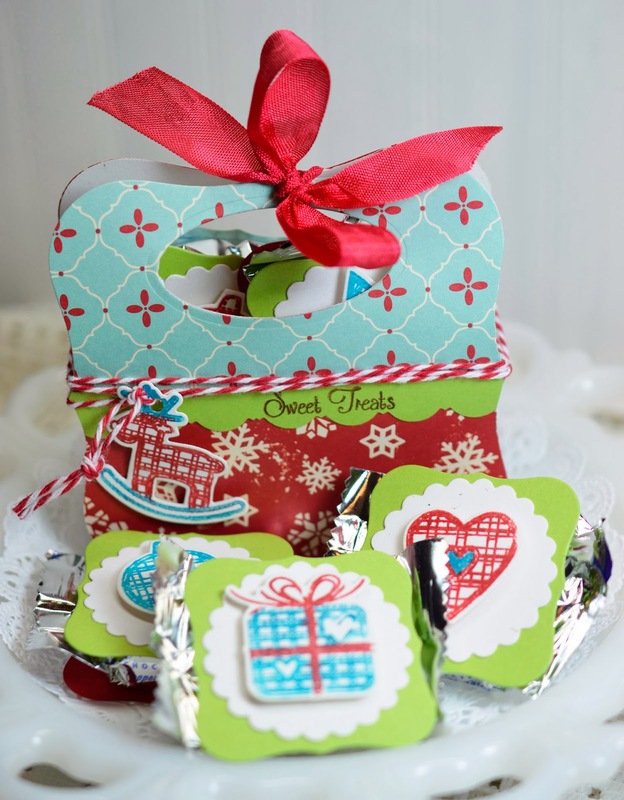 You can use your favorite Sugar Cookie recipe. 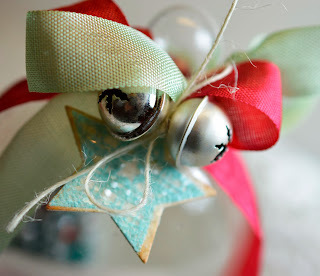 Divide it into three or four balls and add food coloring, then mix the balls back together. Cut into leaf shapes and bake as usual. When they first come out of the oven, brush them generously with maple syrup and sprinkle with sugar. They glisten and smell divine! They smell so good that Kitty Boy was going crazy (I think he thought we were making pancakes and bacon would be involved)! 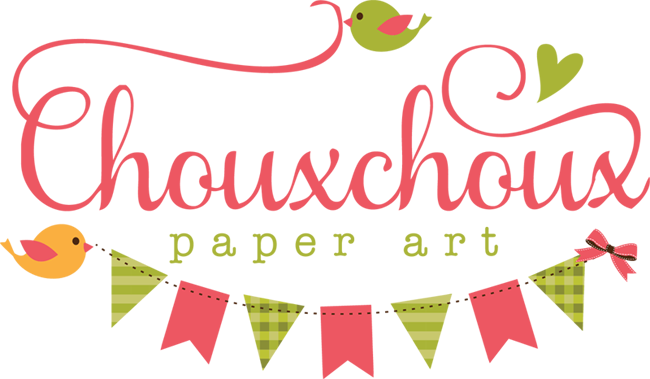 Give it a try - you will love them! 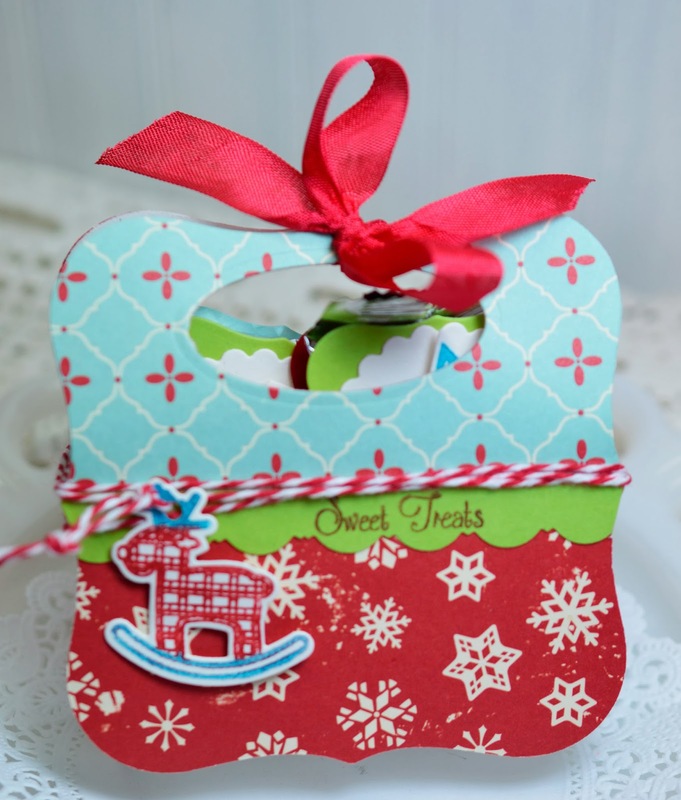 Be sure to visit the Paper Sweeties blog for all the new release details. And come back tomorrow for another peek at the November Release. See you then! 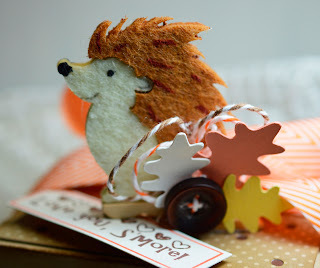 Today is the day for the Moxie Fab Thanks! Blog Hop! This is a BIG THANK YOU to Cath Edvalson. 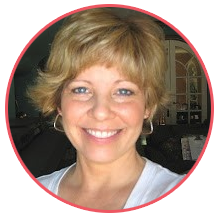 You know her as the every day genius of the Moxie Fab World Blog.- the lady who made it an inspirational place to visit! 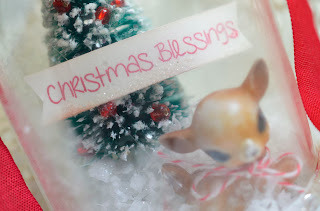 She just blogged her last post and I want to wish her all the best and since the holidays are coming up to wish her a blessed Christmas. Relax, take care of yourself, and have fun, Cath! 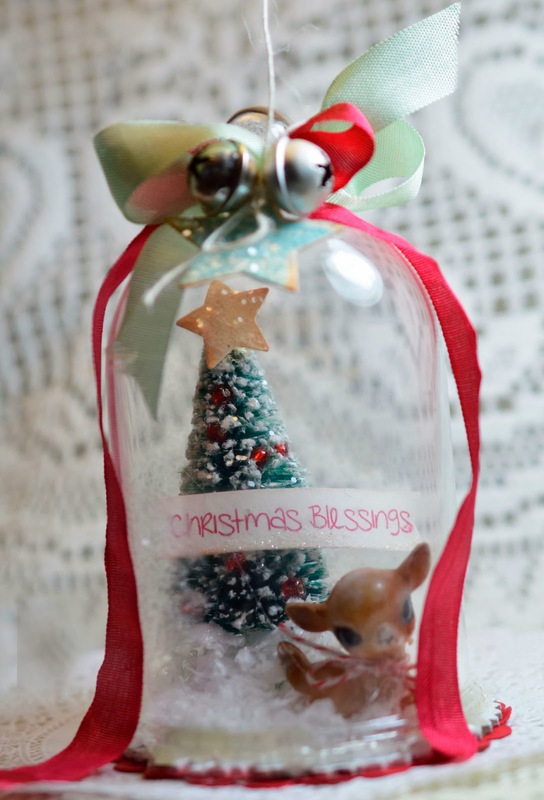 The stamps used on this glass Christmas dome are from Paper Sweeties, who in honor of Cath, is releasing its November stamps and dies a little earlier than usual. 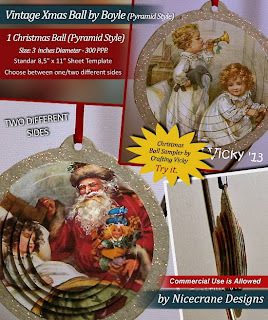 There is a darling assortment of homespun Christmas, gingerbread people, wreaths and sentiments. 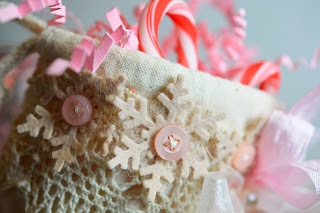 There are also some Christmas goodies like bells and chenille candy canes, too! 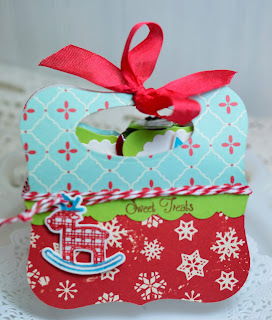 You can see more about all the goodies at the Paper Sweeties Blog. I got really lucky to find about 8 of these darling little vintage deer. Isn't it sweet? Now, let's keep this hop hopping! You should have arrived here from Piali and now you will be heading to Charlene. 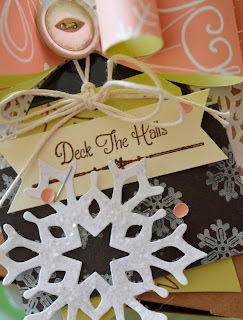 I've always loved snowflake ornaments! 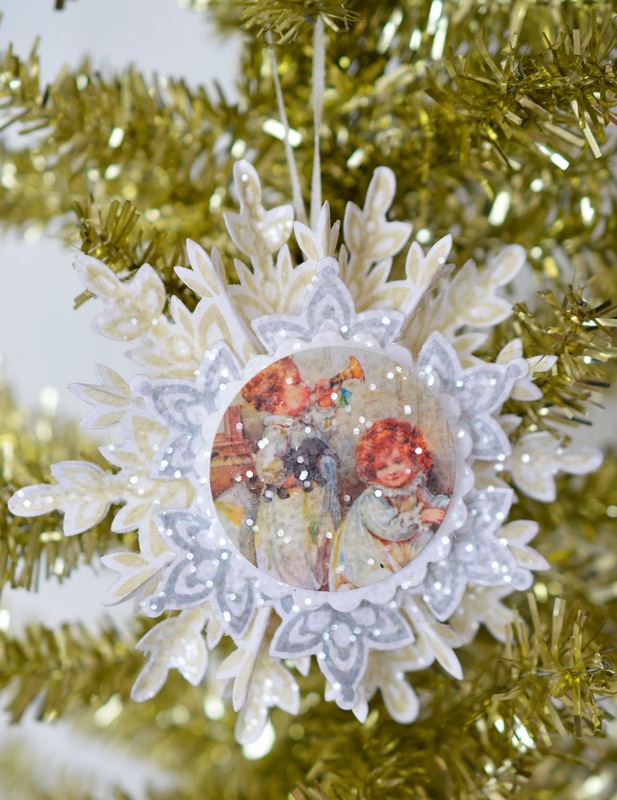 They look so pretty on the tree. Nicecrane Designs has introduced several vintage sets to create circular pyramid ornaments. I'm going to show you another way to implement the circle images - as the center of snowflakes! I love that Ignacio has done the hard part for us. 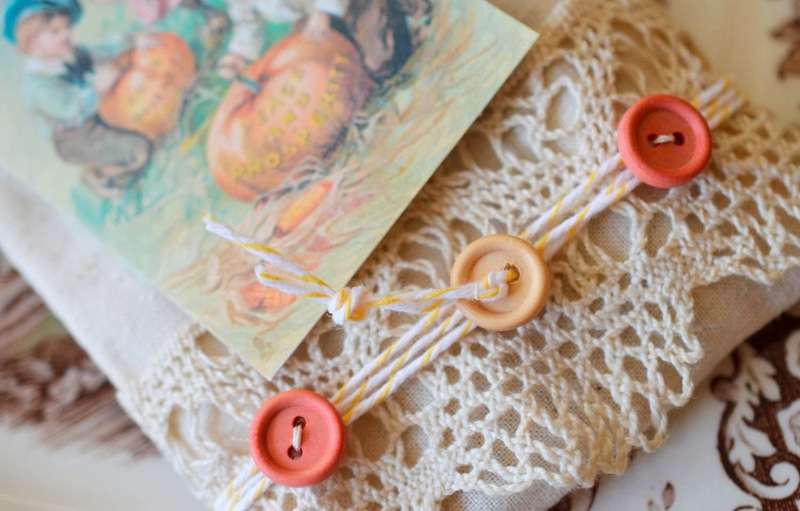 I don't like having to figure out what portion of an image will make a nice circle! 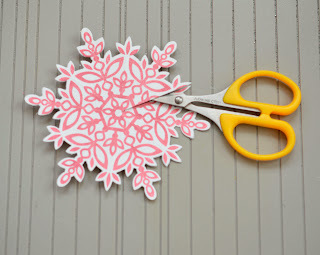 Stamp and cut two large snowflakes. 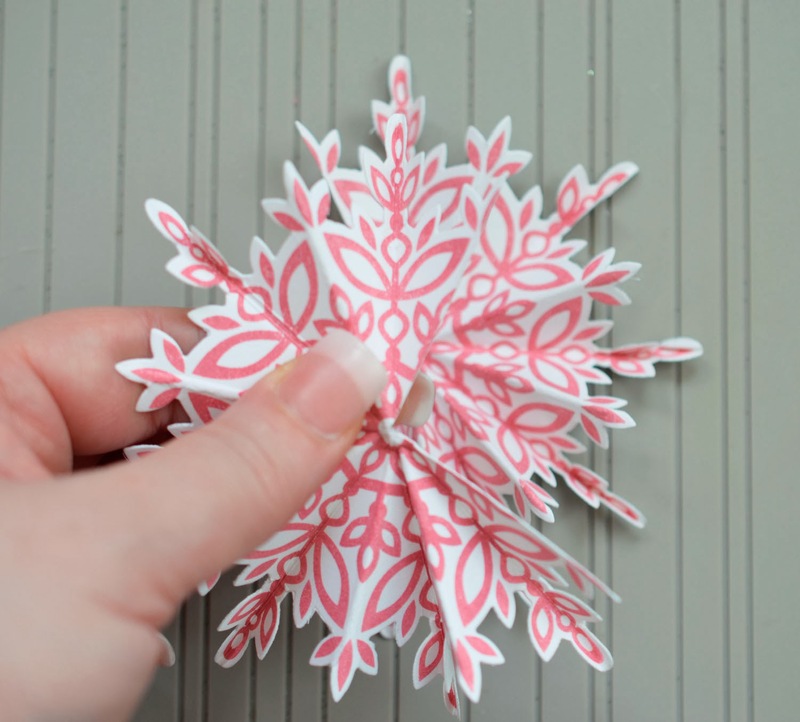 Line up the snowflake on a scoring tool (or use a ruler) and score from the top of a long point all the way through the snowflake to the bottom of a long point. 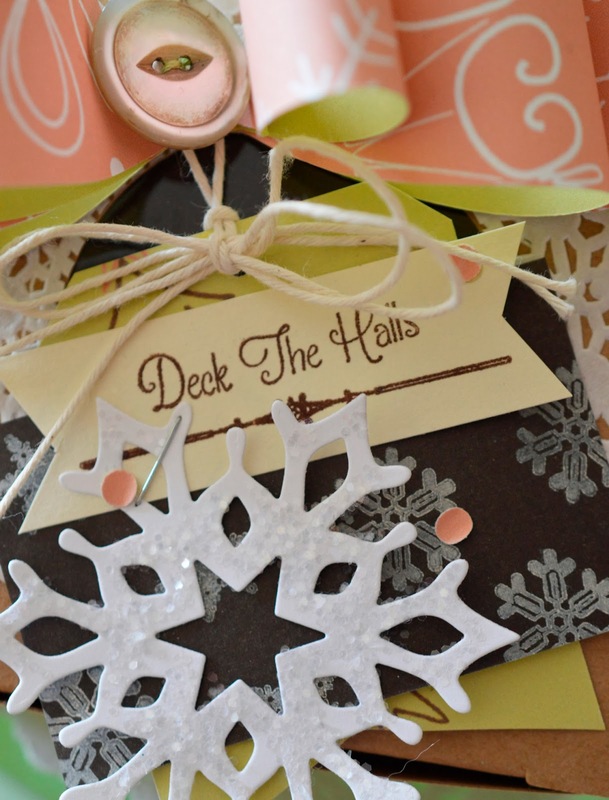 Only score the long points - on this snowflake, that is three scores. 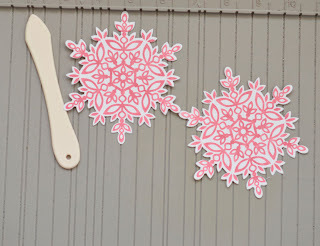 Ignore that second snowflake - it's not lined up at all! Then turn the snowflakes over and score the other points. This way you have the mountains and valleys for the accordian fold. 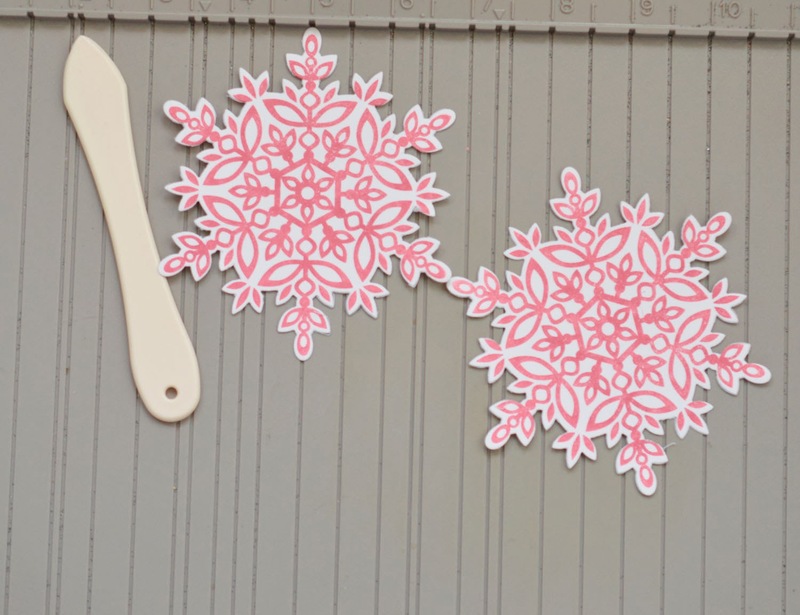 Lining up is important - the right snowflake is lined up much better than the left one! 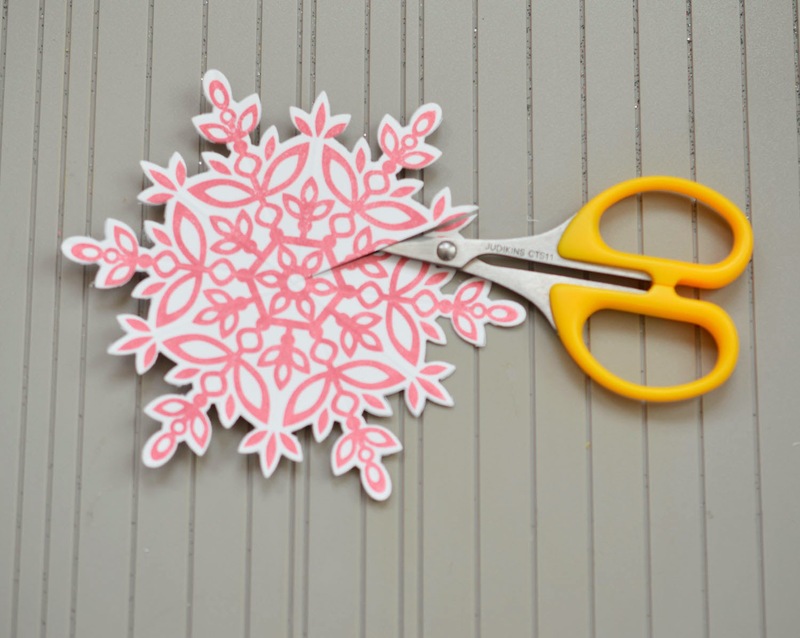 Cut one fold all the way to the middle on both snowflakes and accordian fold. 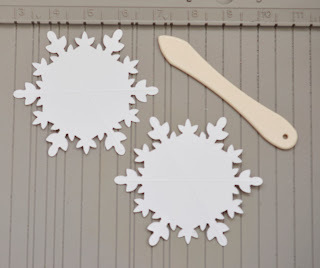 It will make the snowflake sturdier and smoother looking if you overlap one section to adhere them together. To finish up, hot glue a loop and circle of paper to the back (also helps with sturdiness). 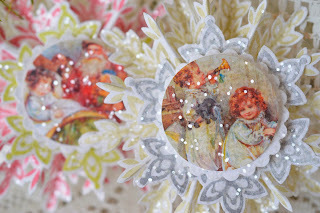 Stack the next size snowflake, a glittered scallop circle, and sweet vintage image from Nicecrane Designs. I used hot glue and pop dots under each layer. I'll be posting to Make it Monday.